September 22-28 is Banned Books Week! Celebrate your freedom to read! Every year the American Library Association collects information on challenged and banned books in schools and libraries across the country. Five Ohio authors appear on the ALA’s list of Top 100 Banned/Challenged Books: 2000-2009. Two of those authors also appear on the ALA’s Top Ten Challenged Books of 2012. 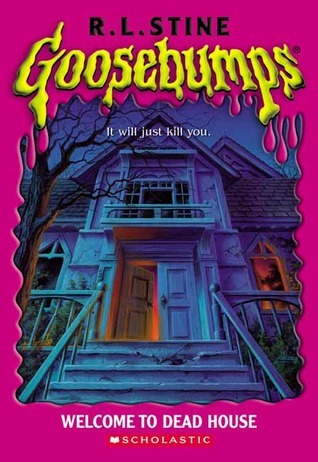 Coming in at #94 on the list of “Top 100 Banned/Challenged Books: 2000-2009” is the Goosebumps series by R.L. Stine. Stine grew up in Bexley, Ohio and graduated from Ohio State University. He began his career by writing humor books for children and created the humor magazine Bananas. Stine wrote his first horror novel for young people in 1986, and went on to create the Fear Street series in 1989 and Goosebumps in 1992. His books have sold more than 350 million copies, and the Goosebumps series has been translated into 32 languages. Stine created an endowment fund for creative writing in his hometown of Bexley, received the Ohioana Career Award in 1999, and was a featured author at the 2009 Ohioana Book Festival.